Wexford Skin Clinic | We've Been Keeping A BIG Secret!! - Wexford Skin ClinicWe’ve Been Keeping A BIG Secret!! We’ve been keeping a secret…..and it’s kind of a big deal!! Peer-reviewed and clinically proven, our new treatment offering is exciting news for those of us concerned with loose skin, wrinkles and scarring. 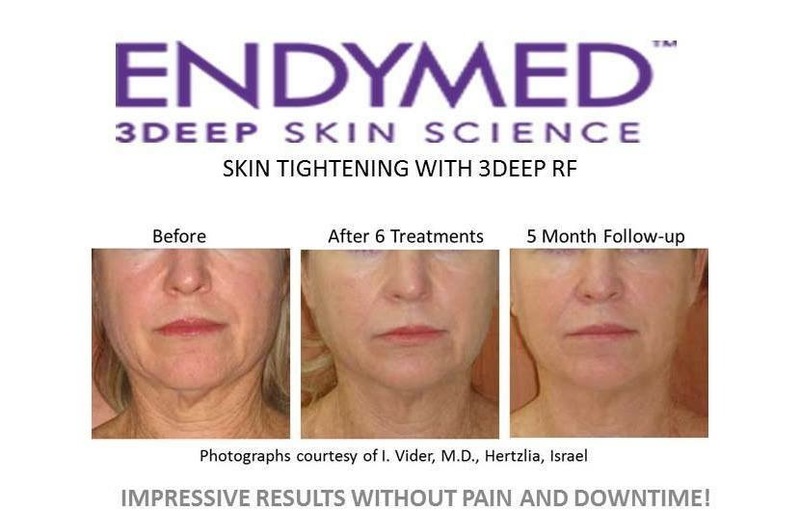 EndyMed 3DEEP Skin Science is a cutting-edge, FDA approved, clinical device that uses the most sophisticated form of radiofrequency energy to deliver treatments that target every layer of our skin. From deep within the skin, where the energy stimulates collagen production, to tighten, firm and improve skin structure, all the way up to the skins surface to smooth wrinkles, improve skin tone and restore radiance. EndyMed offers multiple treatments, using specialist hand pieces, which use radiofrequency energy in different ways, to safely and effectively address specific skin ageing concerns and target your problem areas. Treatments vary in level of intensity, so whether you’re looking for a completely pain-free treatment with no downtime for skin tightening and lifting, or a high intensity treatment for skin with more advanced ageing and sun damage, there’ll be an EndyMed treatment to suit you. Every EndyMed treatment stimulates your skins own natural rejuvenating processes, so the results you see will not only be outstanding, but natural lookig and long-lasting too. As collagen takes time to remodel and form, full effects of the treament will typically be seen after three months or more following your treatment course. Some treatments, however, also deliver short term results with an immediate lift and a healthy glow, the perfect pick-me-up before a big event. In fact, the prestigeous Journal of Cosmetics, Dermatological Sciences and Applications has recently published a study by Isabelle Rousseaux, M.D. titled “Peri-Orbital Non-Invasive and Painless Skin Tightening-Safe and Highly Effective Use of Multisource Radiofrequency Treatment Platform” (what a mouthful). The study included 11 subjects treated for periorbital (area aound the eyes) signs of ageing with 91% of patients showing good to excellent results as can be seen in our pictures. Before EndyMed 3DEEP Skin Science, the only option for areas like the eye and neck were costly surgical procedures, so to be able to offer a treatment that yields these results with the skins own rejuvenating ability is a dream come true! !